The rumors surrounding the potential for DICE to be developing Battlefield: Bad Company 3 have been swirling around the Internet for the better part of the past decade. Unfortunately, each one that has popped up over the years has typically been shot down, leaving fans to wonder if the game is meant to become the next Half-Life 3. Now that we are already a quarter of the way through 2019, it was only a matter of time before yet another Bad Company 3 rumor arrived, and the latest one seems to be claiming that the possible game is likely a PlayStation 5 launch title. The recent Bad Company 3 rumor isn't actually that recent, as it was posted to Pastebin back in December, but has only recently been making the rounds. Before we go any further, it is worth noting that the person who posted this "leak" provided no evidence to back any of it up, so let's just go ahead and get that salt ready. According to them, they have been working with "a well known company" on a AAA game that is expected to arrive in 2020. 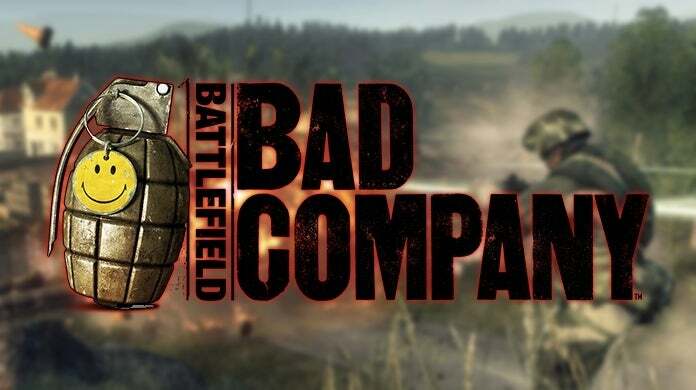 While this is likely when we will see the next Battlefield project to come from DICE, there is absolutely no guarantee that it will be Bad Company 3. In addition to this, DICE hasn't exactly expressed an interest in returning the Bad Company series, so there's a chance we'll never see it happen. On top of this, the leaker claims that the possible game will be a PlayStation 5 launch title along with the likes of an Assassin's Creed game and the Horizon Zero Dawn sequel, which was recently (possibly) confirmed by a voice actress. Again, let's keep that salt handy, shall we? There's no telling if any of this is true until we receive official word from the developers. What do you think about all of this? Do you believe that we will be seeing Battlefield: Bad Company 3 finally arrive next year as a PlayStation 5 launch title? Sound off in the comment section below, or feel free to hit me up over on Twitter @anarkE7!